I had a conversation with a couple of members of Inliners International. 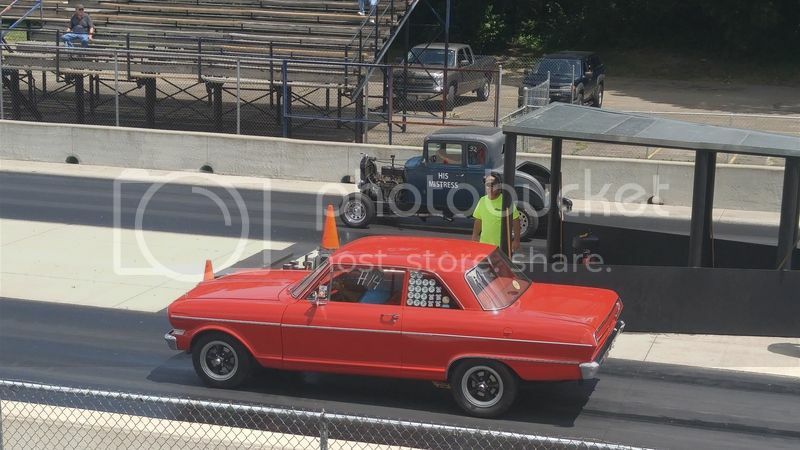 They are interested in holding a drag race in conjunction with their upcoming convention in the Dayton Ohio area in July of 2016, the specific dates yet to be determined. Since I race inline six powered cars regularly they asked me for some suggestions to make this race a big success. 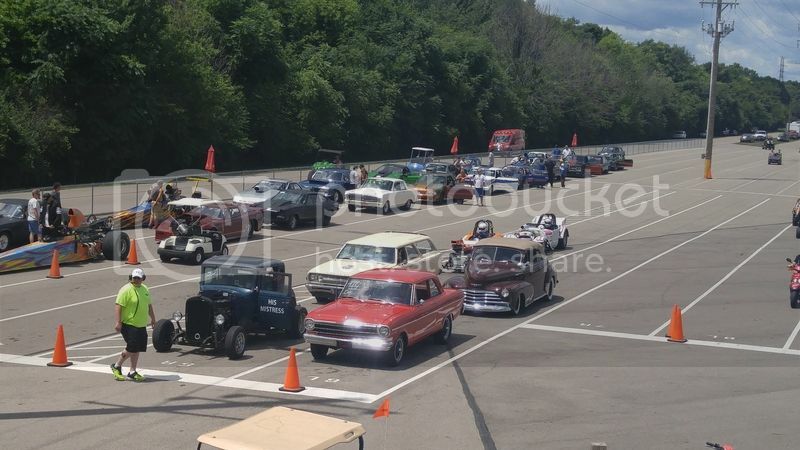 For starters I would like to know how many HAMB members would like to race their inline or flathead powered car at this event. We are going to talk to a few tracks close to the convention site to make this happen. I think this race should be as inclusive as possible to allow a wide array of cars to compete - all brands and types welcome. Inliners International members are working to provide accommodations for members and non members. 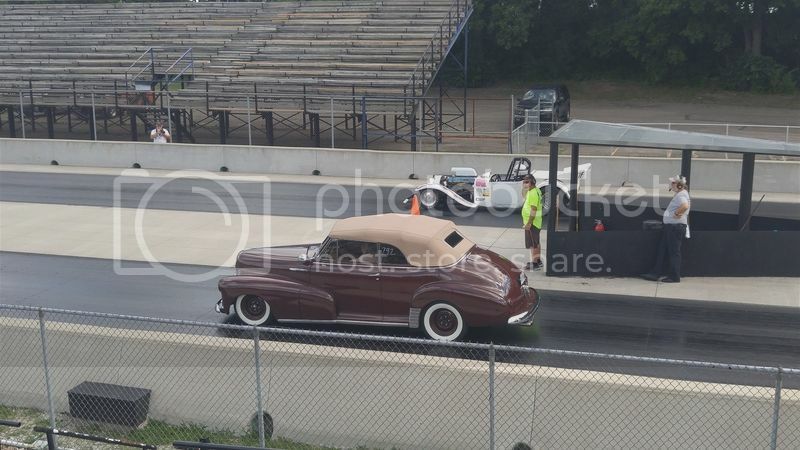 So if you have an inliner powered car you drag race or you or others you know have flathead powered cars who would like to join in the fun stay tuned for further details. I will relay them here to non-Inliners members. Last edited by THE FRENCHTOWN FLYER on Mon Dec 08, 2014 8:55 pm, edited 1 time in total. Ohio is a long tow for us though! '86 Mustang, Turbocharged, Best ET: 10.70@132. I'm not telling you to fly in, rent a (inliner) car, drag race it, fly out. No. I'm not telling you to do that. Does10's, Do you still have family in the Indy area? Dayton is about 2 hours from Indianapolis. Maybe a west coast caravan?? But I doubt they'd kick up for some diesel for the RV! It's still right at a year and a half way, so there is plenty of time to put money in the piggy bank for this. Too far out to make definite plans but yes I would be interested being its 3 hours from me. Where would they have the race at? Indy, National trails, Norwalk?? 2003 F-150 FX-4 Tow vehicle. 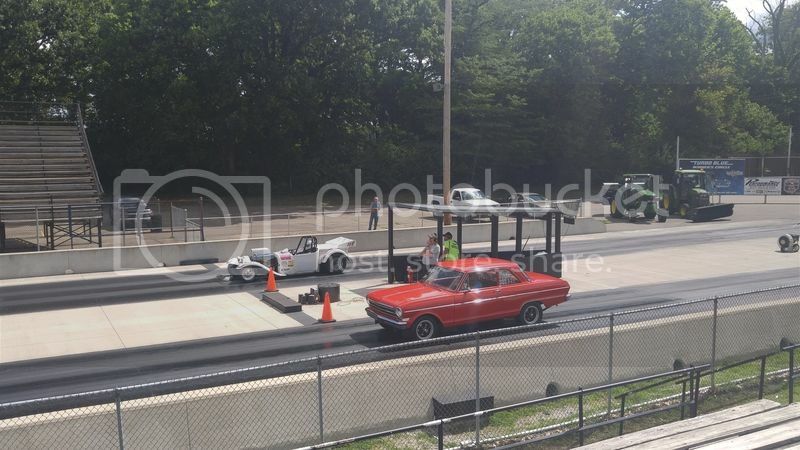 The drag racing venue is tbd. I am hoping we can get KilKare in Xenia to agree to host it. It is less than 20 miles away and a tidy little strip. I'm in! 40 miles from home (Cincinnati). The Triumph Tr4ord WILL be on the street by then. Just ordered a Comp 268H cam/kit yesterday! I will be there!!! As long as my car stays together, a year and half is a long time for me (at 7000 rpm)!!! scott, I was hoping you would bring the comet. I look forward to it. FTF,any updates/headway on this ?? Any idea what track it's going to be held at? 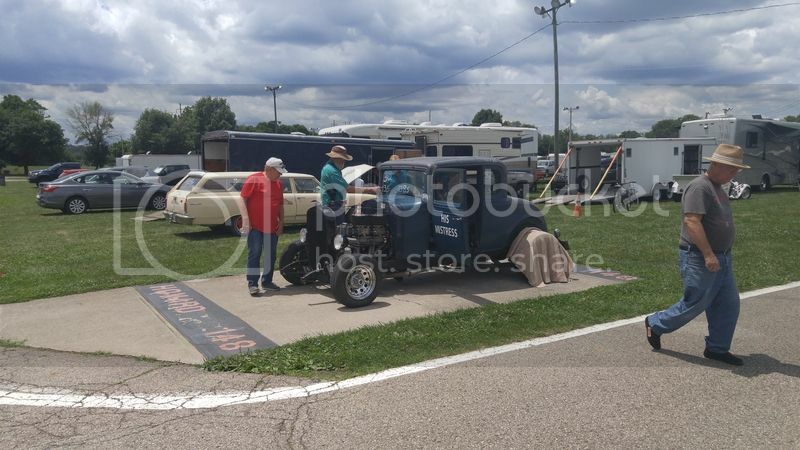 I have been in contact with KilKare Dragway in Xenia Ohio. I chose this track because it is closest to the Inliners Convention site and it has a good reputation for the track management. I have seen the facility. I told their management I would like to race the weekend of July 9 - 10, since the convention is July 11 - 14 and I would get together a list of interested racers and get back to them with that list. Needless to say, the more racers I can get to commit to racing and put on the list the more chance we have of getting a separate class for inliners / flatheads. I also said we were willing to race at one of their regularly scheduled bracket races to give us a chance to double-enter two classes. I am OK with either a dial-in race format or an index based format, either full or (.500) Pro tree. So if you plan to race, now is the time to let me know. Additionally, I would like to bargain for a full pay back of our entry fees to the racers. The best way to accomplish this is to have a pre-entry fee paid, maybe a discount if pre-entered and a regular entry fee if paid at the gate. I don't want to become TheBankOfGreg but if that is what it takes to get all I am bargaining for I may have to. I have been talking with other Inliners International members about this too. I would like to have at least 16 cars commit to racing before I speak to KilKare management again. PM me if you will be racing or with your thoughts. I have 12 racers that have made a verbal commitment to race. I need four more to proceed. Put the word out to all your friends who race inliner or Flathead cars. We now have 13 racers verbally committed to run. I'm liking to get 3 more. I'd like to get a few more flathead racers to join us. I now have 16 racers who have verbally committed to this event. I would like to see more, especially more flathead V8 powered machines. Stay tuned for further details of this great event. In continued talks with Kil Kare management I learned they race on Saturday, not Sunday. That would make our race date SATURDAY, JULY 9, 2016. Additionally, they hold a single eliminator race on Friday evening so that would be another race date we can use for test-n-tune if desired. We will have our own eliminator and also be able to enter their NHRA bracket classes (S/P, Pro, Spt) as appropriate. If you are racing and have not given me your contact information will you please PM me that info. Stay tuned for further updates. We now have 19 racers verbally committed to being there. I spoke with KilKare management today. A few items need to be updated. We will race July 9. But instead of their regular Bracket program there will be a HEADS UP race on that date. This was made necessary because there are going to be a couple of cars on site from a television reality drag race drama / show. This was the only date the TV promoters could work with the track so it is locked in. But fear not racers. The track is still anxious to have us and will host a separate class for us. It will be a dial-in bracket format. Additionally they will also have two dial-in classes - BOX and NO-BOX - for any racers, including flathead / inliners if we wish to double enter two classes. The cost to enter their Box race will be $60 and the cost to enter their No Box race is $50. KilKare agreed to pay back all of the race car entry fees for our class back to us for prize money, to be distributed as I see fit. They asked how much I wanted the entry fee to be. I asked them to set it at $50, which should make for a handsome payout to the racers who do well. It will be collected at the gate. Regarding Delay boxes / electronics: Many inliner / flathead powered cars are not set up to use delay boxes. To keep things on an even playing field I am stipulating NO DELAY BOXES MAY BE USED for the Inliner/Flathead class. THAT DOES NOT MEAN THEY MUST BE REMOVED FROM THE CAR, MERELY THAT THEY BE "ZEROED OUT" AND EVERY RACER WILL LEAVE OFF THE BOTTOM YELLOW BULB. This will be on an "honor basis" but I will have observers watching / recording starting line and staging lane actions to enforce this policy. It will also allow cars equipped with delay boxes to enter their BOX class with a minimum of between-rounds fiddling. Trans brakes and line locks are acceptable. I am seeking individuals and businesses willing to donate additional goods / services / cash for additional prizes such as Best Appearing, Best Appearing Crew / Best Engineered / Best Reaction Time / Closest to your Dial-in / Best Package. PM me please. I am also seeking volunteer(s) proficient in artistic woodworking and metal sculpture to make a few trophies. PM me please. General Admission: $15.00, Carloads $30.00, Kids 15 & Under $5.00 w/Paid Adult. Bring a ton of your buddies and families. Hi. I received this information the General Manager / Competition Director at Kil-Kare Raceway. He outlines the activities at the track for July 7,8,9, 2016. Note that in addition to racing on Friday and Saturday there is test-and-tune night on Thursday. That will give us three consecutive days of track time. I am looking forward to seeing many fine flathead and inline racers in competition this weekend. It will be a great way to kick off the 2016 inliners international convention week! See you there. Good afternoon, Below you will find the payout information for our Box and No Box Classes that will be running on July 9th. I would also like to add that we will be having a Friday Night event as well. It will be our Pro/No Box Double Up. During the event we run only this class and the entry and payout are the same our Saturday program. Gates open at 5pm and a single time run then straight into racing. These events provide a great chance for racers to compete multiple times with one tow to the track. Of course overnight participant parking is allowed. We do have our weekly test and tunes on Thursday nights as well. And arrangements could be made if someone wanted to stay the entire time for the weekend. Our gates open on Saturdays at 9am and time runs start at 10am sharp. We will run 2 sessions of Box and No Box time runs. My plan would be to have your group run on the tail end of each session. Now if they chose to run in our bracket program they would be able to make those passes as well. Once we get things up and going our program does run rather smooth as we have been told. As I mentioned on the phone earlier today we will be having Chuck and Daddy Dave from the Street Outlaws show making an appearance that day. Our general admission will be $15.00 for adults $30.00 carloads and children 15 and under will be $5.00 with paid adult. Hopefully all will go as planned for this great event and if you have a link to your social media outlets or websites please send them to me. If you have any other questions please feel free to let me know. Hello racers and inline drag racing fans. As we are only weeks away from this event (JUly 9 at Kil-kare, Xenia Ohio) I look forward to meeting you all. I am asking you all to do me a favor to help promote this race and insure the best possible turnout of inline and flathead powered cars. Will you please use social media to tell others in your area of the event. 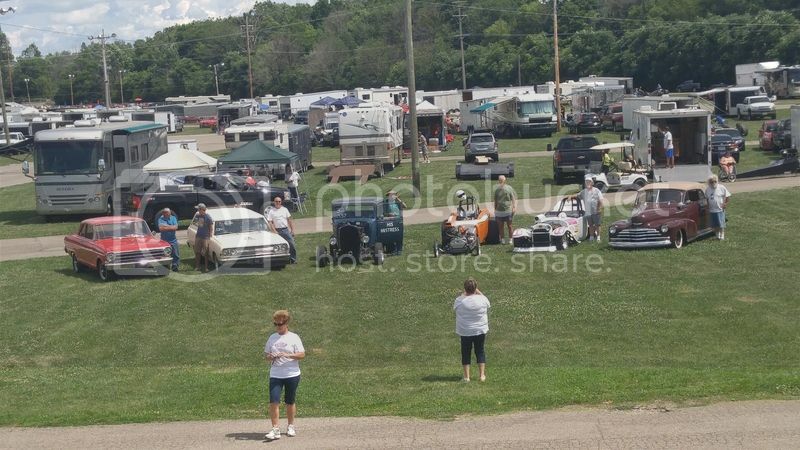 If your local drag strip has a web site and/or a facebook page please use their site as a forum to let the racing community know of this race. I cannot join every racing website and use their bulletin boards to do this, but each of us can post on our local racing media outlets. If it helps, please cut-and-paste the info below. Hello inline and flathead racers and fans. 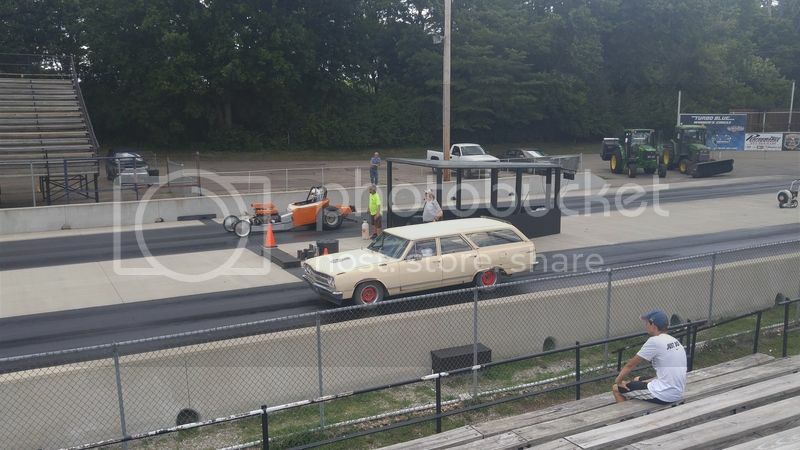 In conjunction with the Inliners International 2016 convention being held in Dayton from July 11 – 15 there is going to be a special drag race for flathead and inline powered cars on Saturday July 9 at Kil-Kare Dragway in Xenia Ohio. The track will also be open Thursday for test and tune and Friday for Pro / No-box racing so make it a three-day race weekend of racing activity. 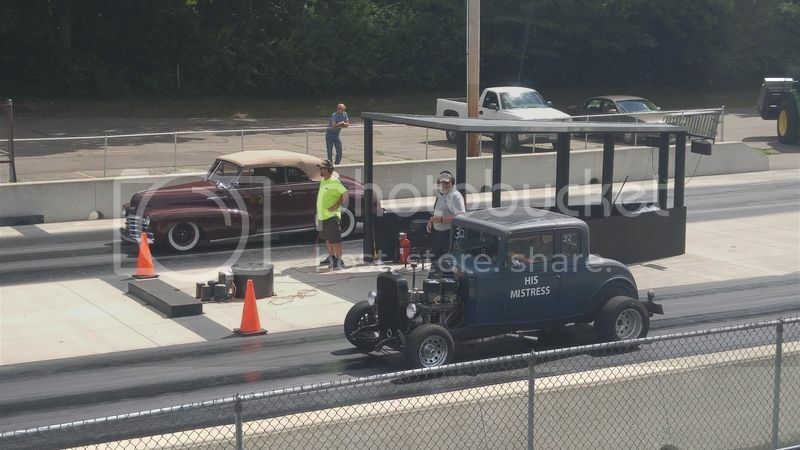 -	Enjoy a wide variety of inline and flathead powered cars from dragsters and roadsters to street rods and trucks. 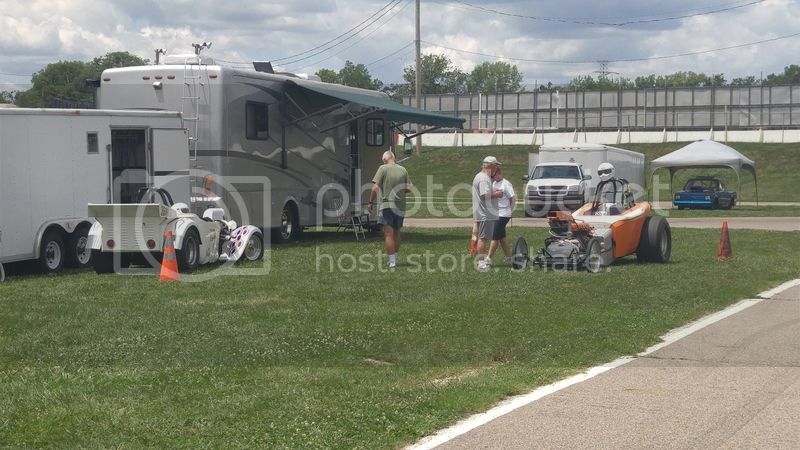 A message from Kil-Kare Raceway management: Below you will find the payout information for our Box and No Box Classes that will be running on July 9th. I would also like to add that we will be having a Friday Night event as well. It will be our Pro/No Box Double Up. During the event we run only this class and the entry and payout are the same our Saturday program. Gates open at 5pm and a single time run then straight into racing. These events provide a great chance for racers to compete multiple times with one tow to the track. Of course overnight participant parking is allowed. We do have our weekly test and tunes on Thursday nights as well. And arrangements could be made if someone wanted to stay the entire time for the weekend. Our gates open on Saturdays at 9am and time runs start at 10am sharp. We will run 2 sessions of Box and No Box time runs. My plan would be to have your group run on the tail end of each session. Now if they chose to run in our bracket program they would be able to make those passes as well. Once we get things up and going our program does run rather smooth as we have been told. We will be having Chuck and Daddy Dave from the Street Outlaws show making an appearance that day. Our general admission will be $15.00 for adults $30.00 carloads and children 15 and under will be $5.00 with paid adult. Results of the race on my birthday? got a link 4 me to go find out? I think the turnout was much lower than they were expecting from what I heard. Not sure if they have a link to anything, I haven't seen any discussion on Inliners about it. Weren't there 16? may B not. Here's the final round. The Last Logghe vs The Frenchtown Family Truckster. The pic gave a real sense of bein there even 4 me, who missed it.